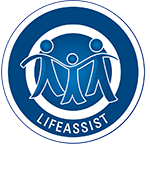 LifeAssist fully supports existing and future HIV and Aids programmes within the EWP model. facilitate access to treatment and care – internally through LifeSense Disease Management, or externally to enhance effectiveness of client-appointed service providers. This service can complement the disease management programme within the medical scheme. Through our association with SABCOHA and BUSA, we are participating in Draft Zero of the National Strategic Plan, and fully support the South African Ministry of Health’s HIV Counselling and Testing (HCT) programme.